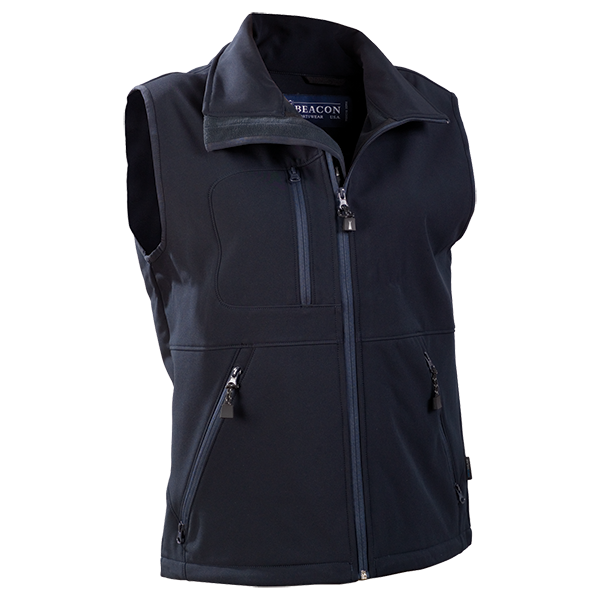 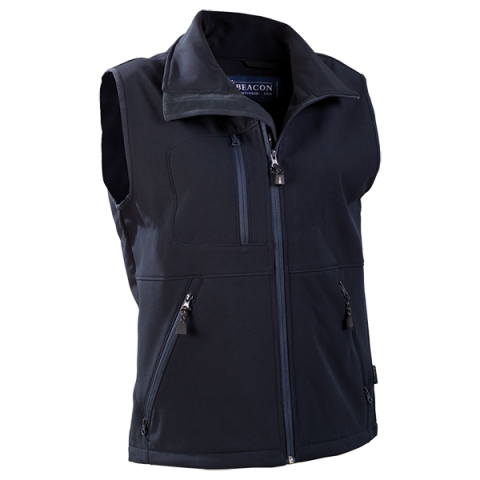 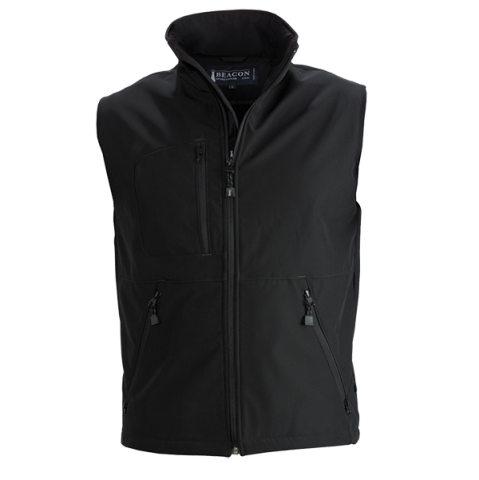 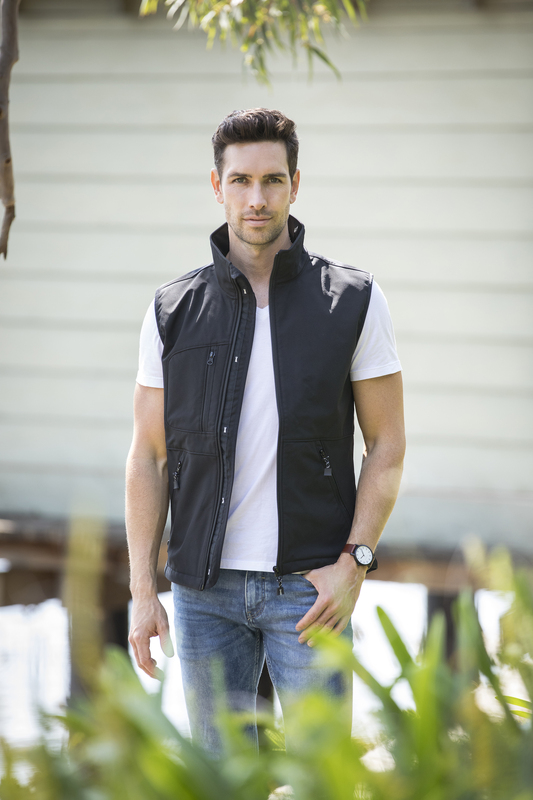 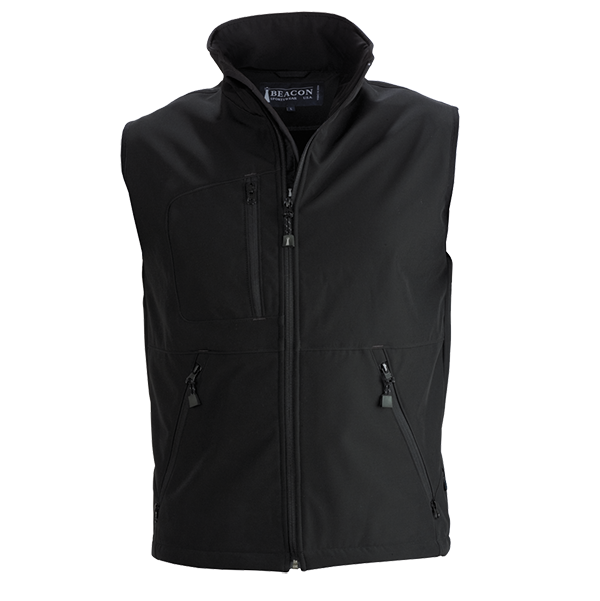 Men’s wind and water repellent softshell vest. 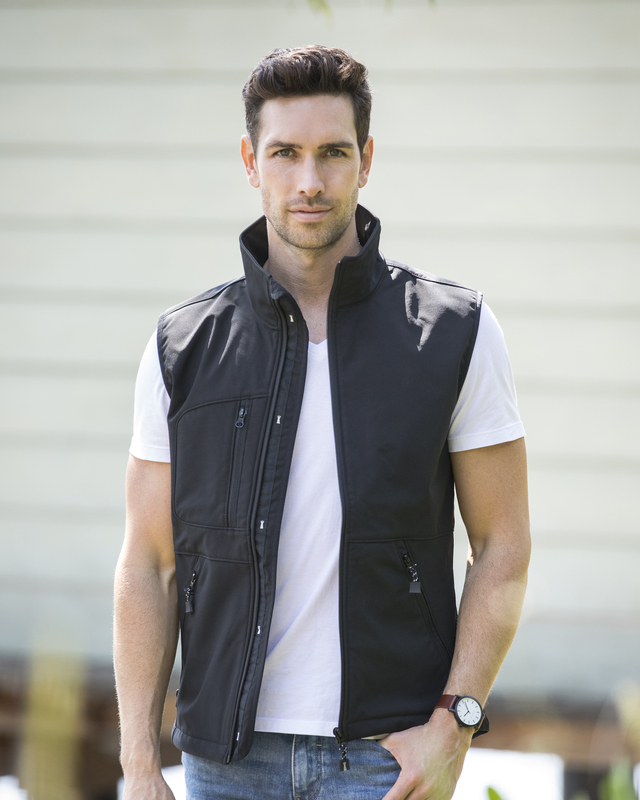 Two side pockets and one chest pocket, all with zips. Adjustable drawstring at hem.